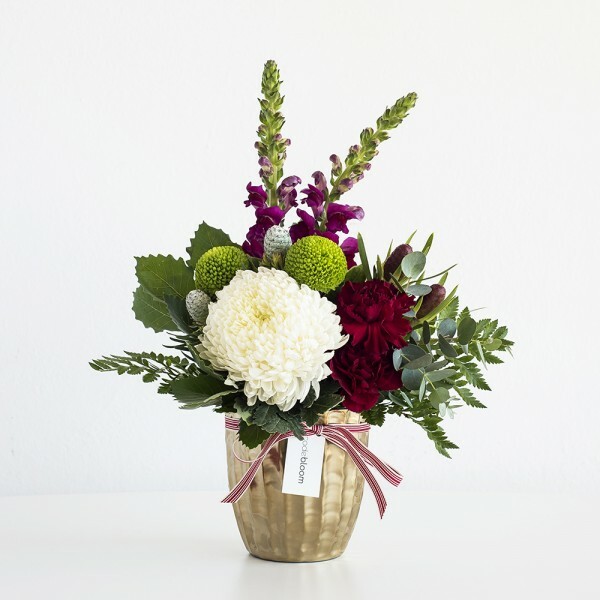 A gorgeous selection of flowers made into a gold ribbed vase with a Christmas theme. Made with a mix of seasonal red, white and Christmassy flowers. Perfect present to be sent to those that you won’t be seeing over the Festive period to let them know you are thinking about them or as additional festive decorations for your house.